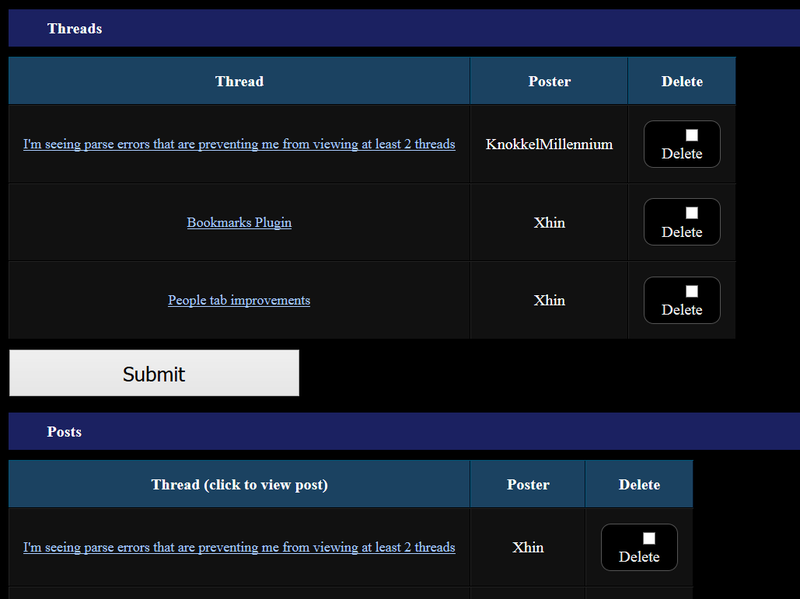 This plugin allows you to save threads and/or posts for later viewing. Useful when you're browsing the archives and want to save things for later. Could be useful for moderation as well, to build a case for some kind of change. 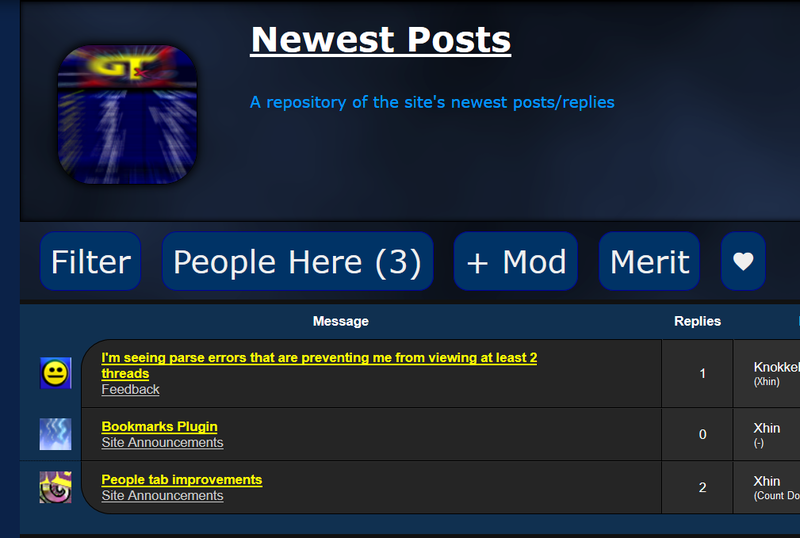 This will make "Collect" links appear on all OP's and replies. Clicking the one in the OP will collect the thread; clicking the one in a reply will instead collect that specific post. To see your lists, click "+ Filter" above a forum index and you'll get three links at the top, one for collected threads, one for collected posts, and one to delete them. 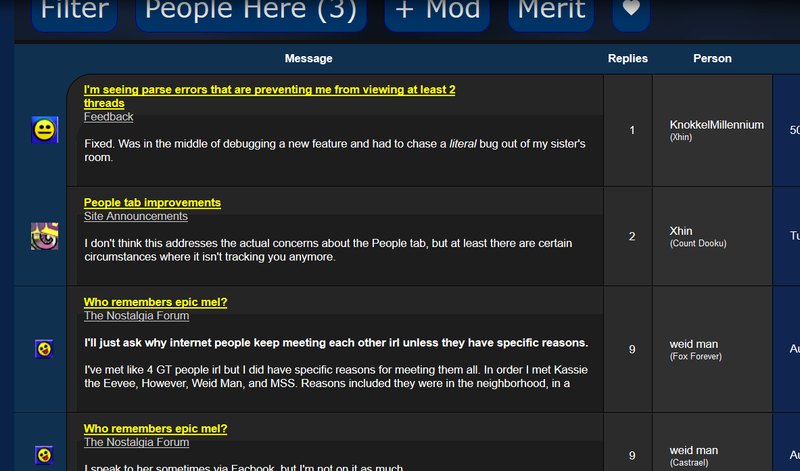 Collected Threads/Posts are literally just threads or posts that appear in the normal forum index. When viewing replies, clicking a thread will take you to it with the reply highlighted, much like with other reply highlighting systems. Clicking "edit" will take you to a User CP panel where you can delete threads or posts you've collected. If you click a post here you'll get the same highlight effect on that thread. Wow, thanks. This is going to be pretty useful.